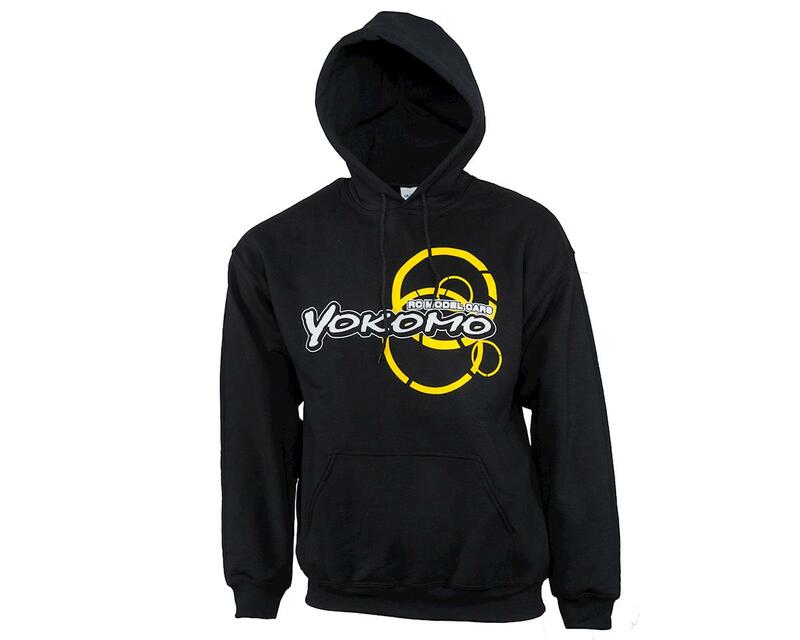 This is the Yokomo Team Hoodie Sweatshirt. 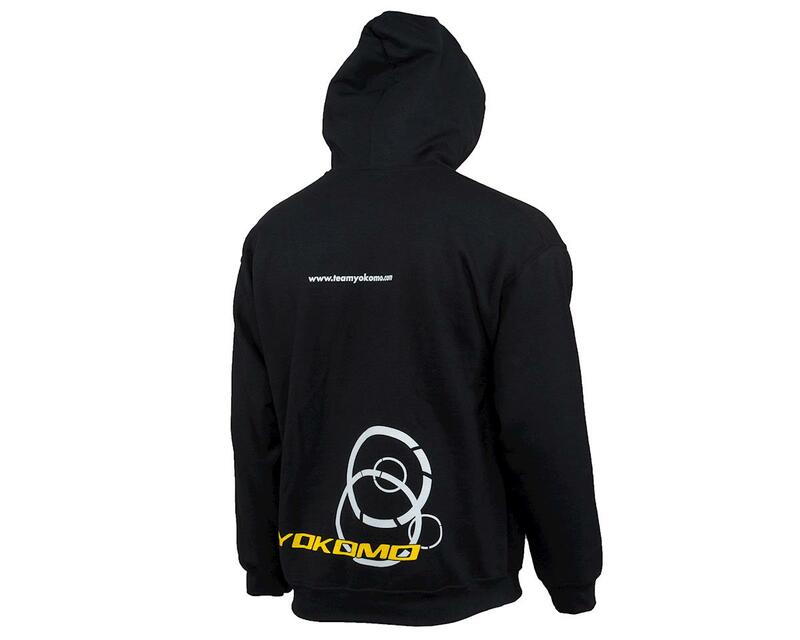 Made from a 50% Cotton and 50% Polyester blend, this Black long sleeve hooded sweatshirt was designed in Europe and features a bold and fearless Yokomo logo on the front, the URL on one side of the back and a lower logo design on the back as well. Also features hood drawstrings. awesome jumper, true sizing. really comfy and warm... great for winter. Im a standard large across t-shirts and jumpers. the large in the jumper fits perfect but the matching shirt a XL is more suitable with the L on the smaller side.